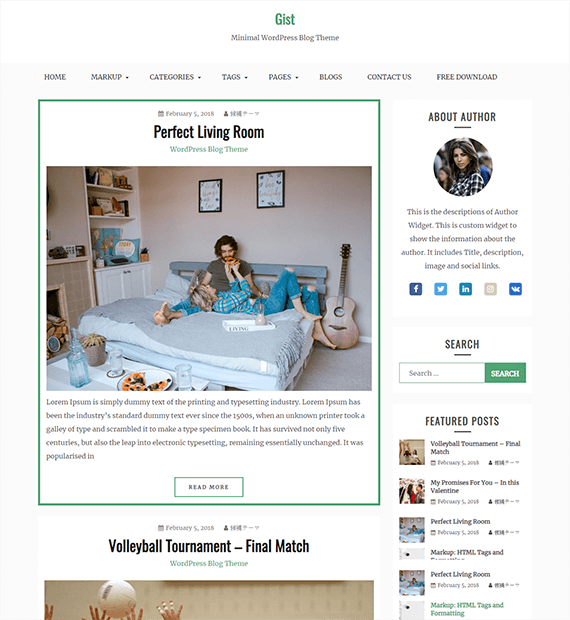 Gist is a free news and magazine WordPress theme that comes with a clean and minimal design. This theme is simple and easy to use which includes many awesome features. It has unlimited fonts so choose the fonts that you like on your site. If there will be any difficulties while using the theme then you will get a free support like email, live and chat support. You can easily connect with your visitors with the help of social icons. The theme includes a go-to top icon that helps you to go to the top if you are on the last section of the page.